While most people assumed that the iPhone 7 would look identical to its predecessor the iPhone 6, Apple implemented some clear changes. Once again, this model is thinner and therefore also slightly lighter. With the iPhone 7 and its big brother, the iPhone 7 Plus, Apple aimed to offer the best screen currently available on the market by increasing the resolution on their patented Retina display. Another change that has caused a lot of controversies is the removal of the headphone jack everyone was used to before. Instead, earphones must now be plugged into the lightning port meaning that you can only use specific headphones from now on. Consequently, it is now impossible to charge your phone and listen to a song at the same time unless you own wireless headphones. On the bright sight, the sound quality is much better using the lightning port instead of a classic headphone jack. Overall, the iPhone 7 is a great smartphone with an elegant design and a lot of useful features. That’s why you should get a custom iPhone 7 case to make sure it is always well protected. 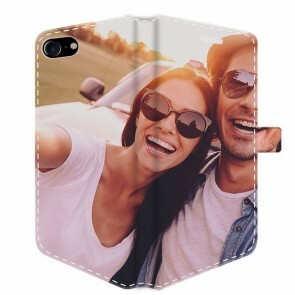 An iPhone 7 photo case is a great way to keep your new, gorgeous smartphone looking fresh and brand new while giving it a personal touch with one of your favorite pictures. 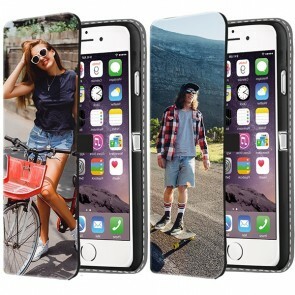 At GoCustomized, you can design your own phone case for your iPhone 7. 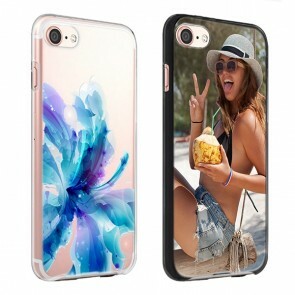 Before you can get started on the actual design of your custom iPhone 7 case, you need to decide which phone case is most suitable for you. We offer a wide range of different types to make sure you find the iPhone 7 photo case you have always wanted. 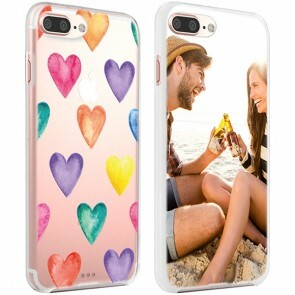 Our hard case is an iPhone 7 photo case made out of strong plastic with your picture on the back. If you are looking for a more functional custom iPhone 7 case, you should have a look at our wallet cases. It will allow you to store your important cards, cash, and smartphone all in one place. But there’s more! 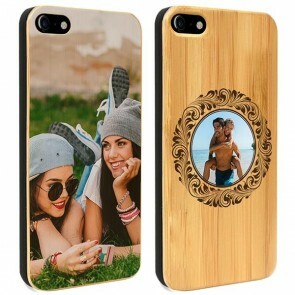 You can also create a wooden custom iPhone 7 case. 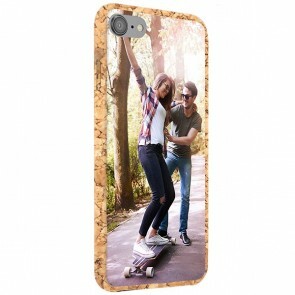 For this iPhone 7 photo case, we use a special laser to engrave your design into the surface. 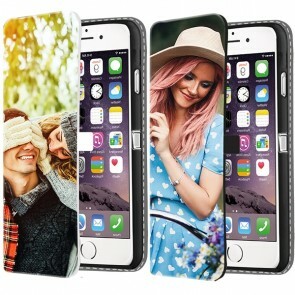 If you are looking for a custom iPhone 7 case that offers even better protection for your phone, our tough case is the one for you. With two separate layers, this case protects the back and sides of your iPhone 7 to maintain a brand new look. Each and every one of our cases has openings for the speakers, ports, and buttons so that the smartphone remains fully functional. 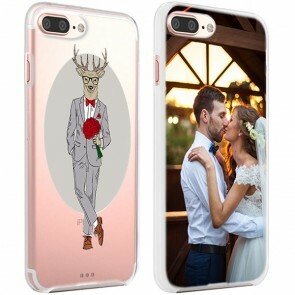 To design your custom iPhone 7 case, you need to upload pictures from a social media profile or your computer. 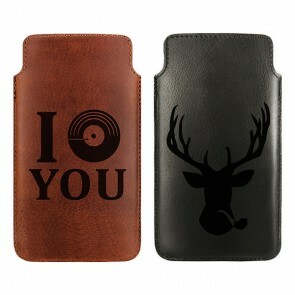 Instead, you can also have a look at our pre-made designs. Please keep in mind that your design for your iPhone 7 photo case, you should always upload pictures in the highest resolution possible. 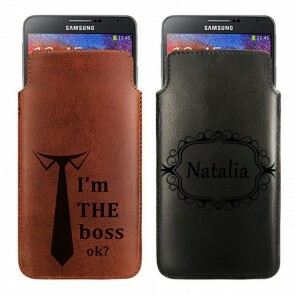 Lets give it a try and start customizing your new phone case now!